Most days I begrudge waking up anytime before 9am, and even then I’m only happy if a fry up is what’s greeting me when I get up. 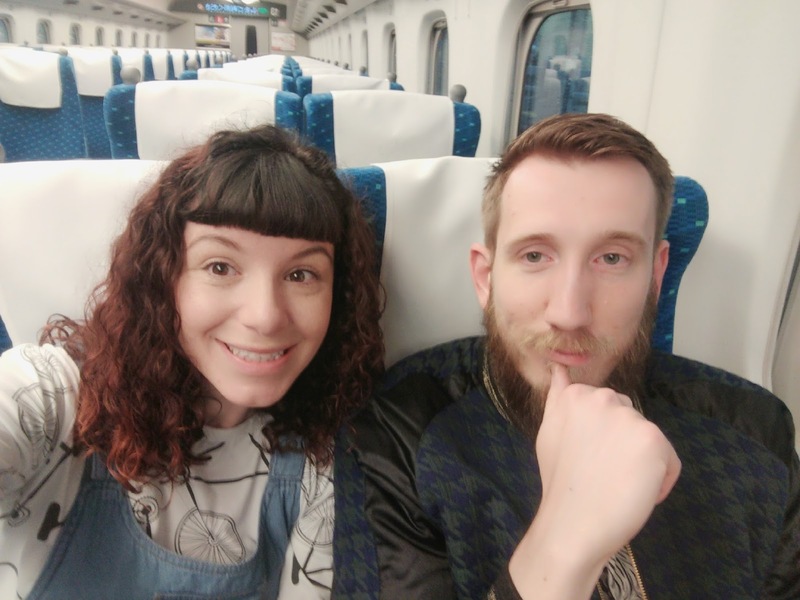 However when I’m on holiday it’s like I’m a different Chelsea and today I (almost) happily got up at a crazy 5.15am so we could catch a 6.35am shinkansen. Our hotel’s close location to the train station helped immensely in our morning routine; otherwise it would have been an even earlier start! Jumping on the train so early meant we were the only ones on there, which was nice because then I could take all the selfies I wanted with no judgement. Ok that’s a lie, Adam was pretty judgey (my blog, I can make up words if I wish!). Our destination of Uno took 3.5 hours to reach and much of that time the train was empty. The time passed relatively quickly, as we napped, read and nibbled our way through the journey. 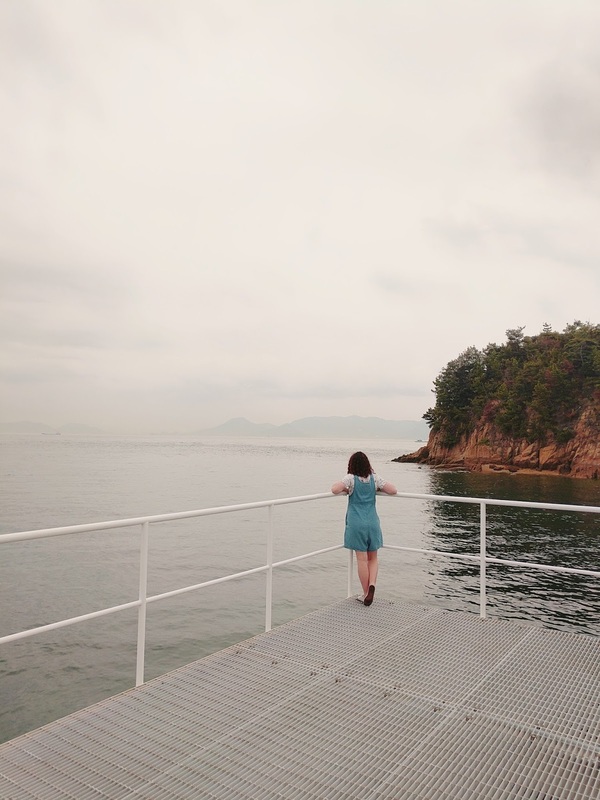 Our final destination was to be Naoshima, a small island known for its many contemporary art museums. 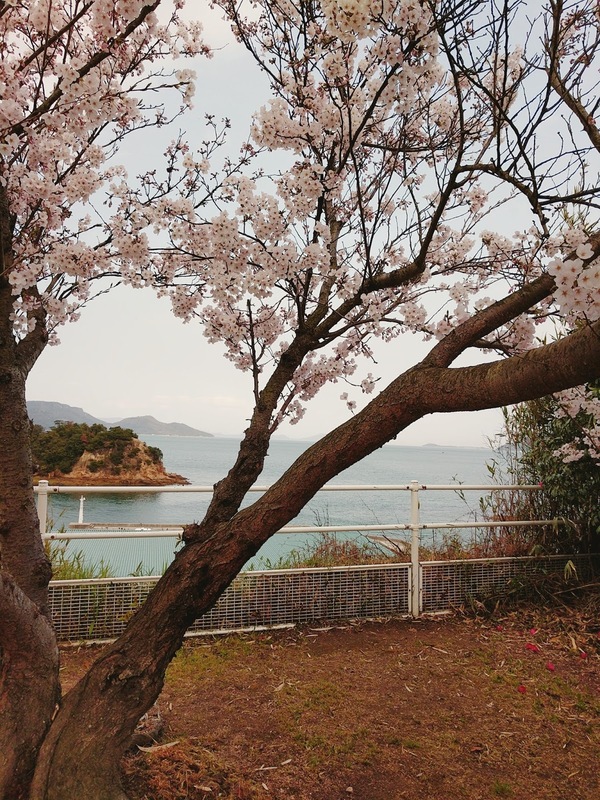 Our reason for including this in the itinerary was because I wanted a location that was a bit ‘different’, that had a slightly different landscape and when I read about Naoshima it seemed to fit perfectly! We arrived at Uno with an hour to spare until our ferry would leave the port and head over to Naoshima. 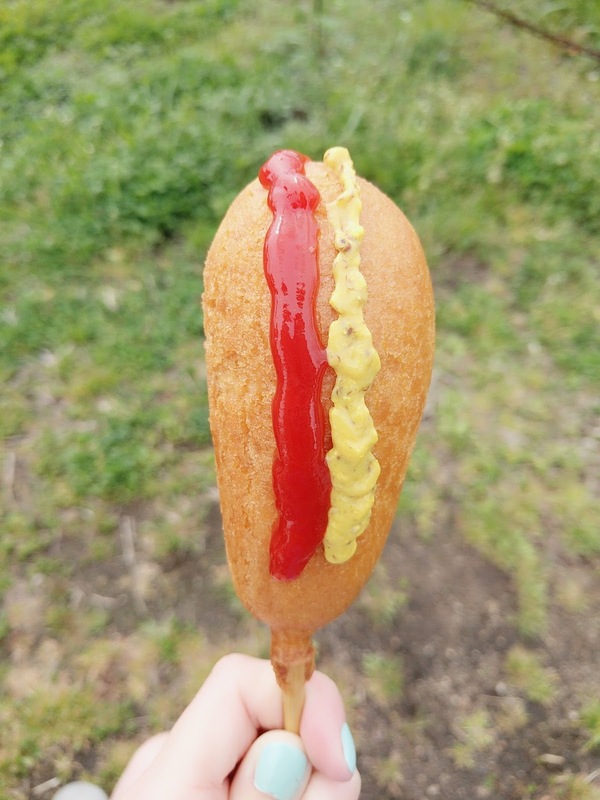 This was perfect timing really as it allowed us to leave our suitcases at the port, for the cost of 300 yen each, and head back to the 7-11 at the station to stack up on some food for the day plus enjoy a corndog portside! The way the Japanese handle their condiments is enough evidence for me that they’re living in the future! The ferry took 20 minutes to Miyanoura port and cost 290 yen each way. There were beautiful views and it was a calm journey, which was great for me as I’m prone to travel sickness. 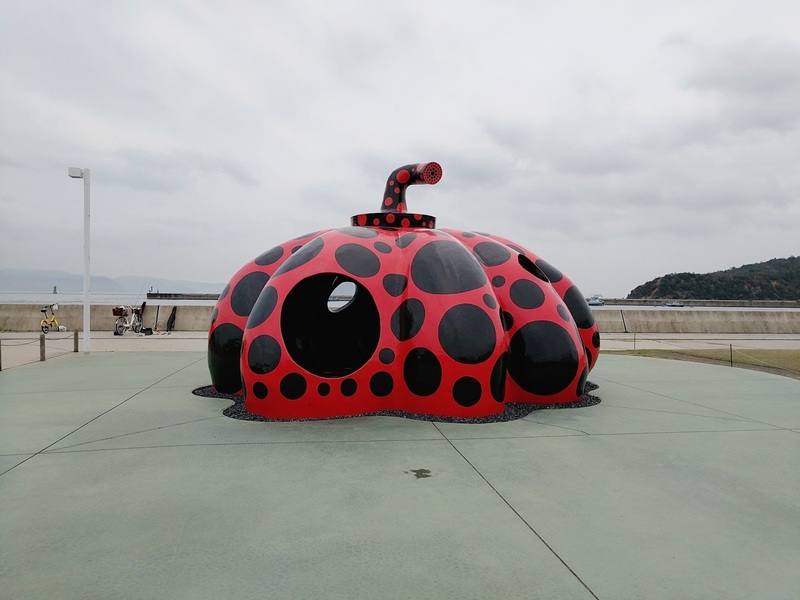 As soon as you arrive on the island there is a red pumpkin, by Yayoi Kusama, by the port. After a quick picture we hopped onto the bus to Tsutsujiso. The bus was really easy to use, it was very clearly signposted as soon as you left the ferry and the fee was 100 yen. I’m always a bit scared using the buses abroad, especially if there is a language barrier. I mean even in my own country I’m staring out the window having anxiety attacks about how I will know it’s my stop. At the Tsutsujiso stop is you can grab another shuttle bus which takes you to all the galleries. The stop itself is great, as it has toilets and vending machines. There is also a lovely little beach if you fancy a stroll. Although I had spotted one when I visited Kamakura this was the first time my feet had actually planted themselves on a Japanese beach. 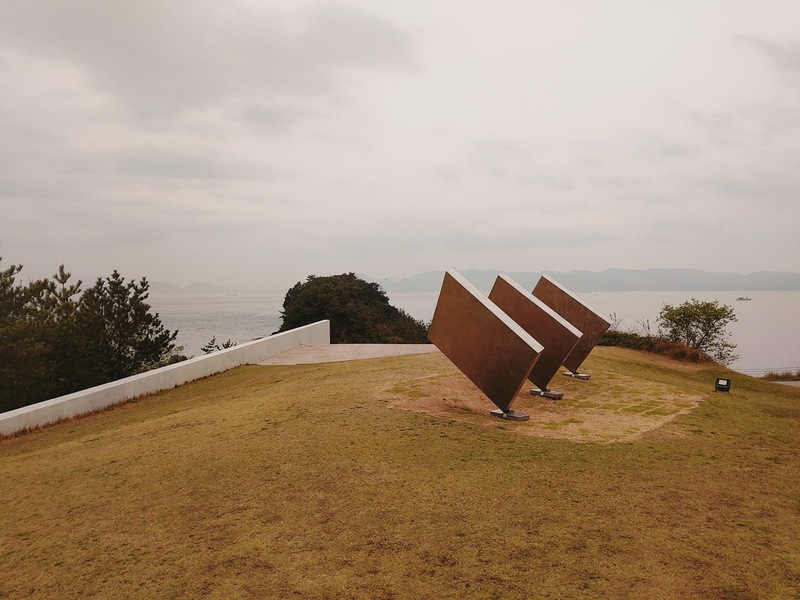 After a 10 minute wait the shuttle bus came to take us to the galleries, this is free and I would totally recommend it as Naoshima is a very hilly island. 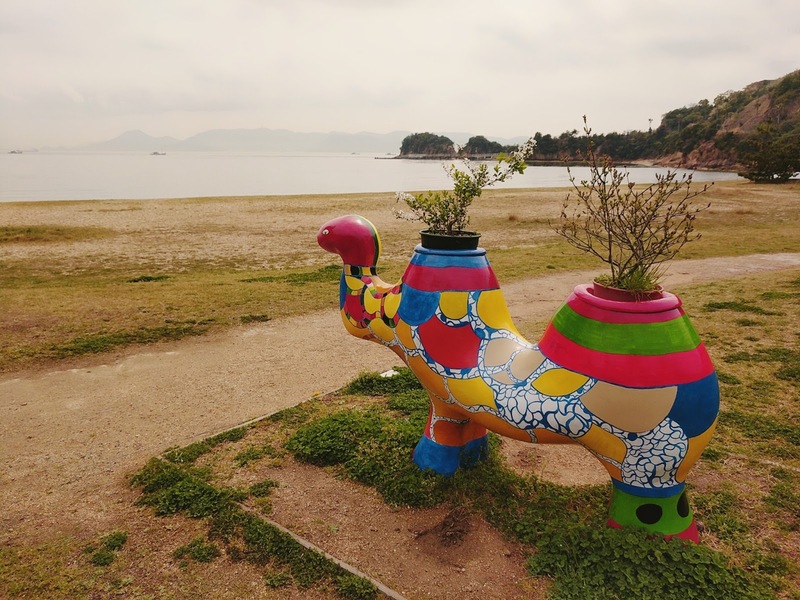 When I first started researching Naoshima I had some mad idea we would hire bikes for the day and cycle around…then we hired bikes for the day in England and I remembered I hate exercise. We got off the shuttle at Chichu art museum and bought our tickets, for 2060 yen each. 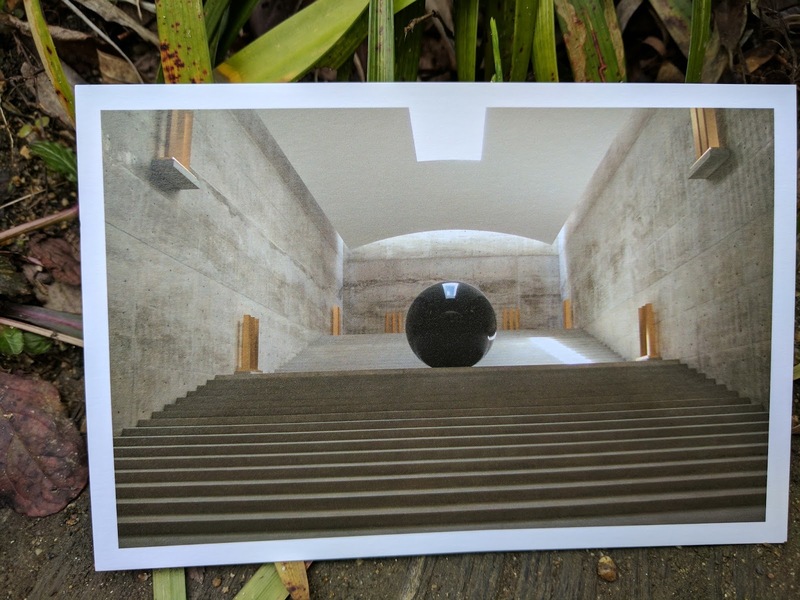 The Chichu art museum was built in 2004 and designed by architect Tadao Ando. The building is very interesting as it’s built underground but designed in a way that means natural light is used to illuminate each room. This light really brings the works to life, such as the water lilies series by Monet. Before you reach the main building you walk through a small garden, inspired by Monet, which features the plants that appear in his work. 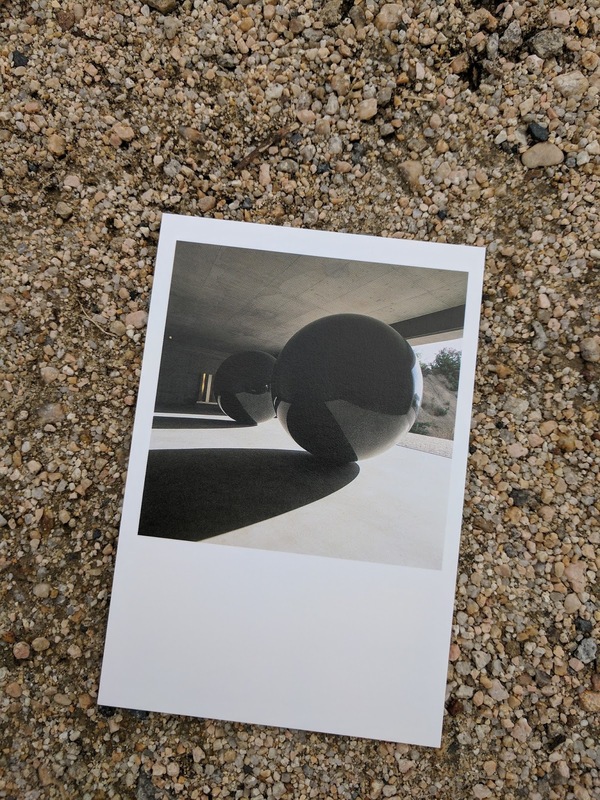 There was an interesting piece by Walter De Maria involving large black spheres, which you could walk around. The room also has 22 golden sculptures around, which reflects the natural light around the room. What do you do when you can’t take pictures inside a gallery? 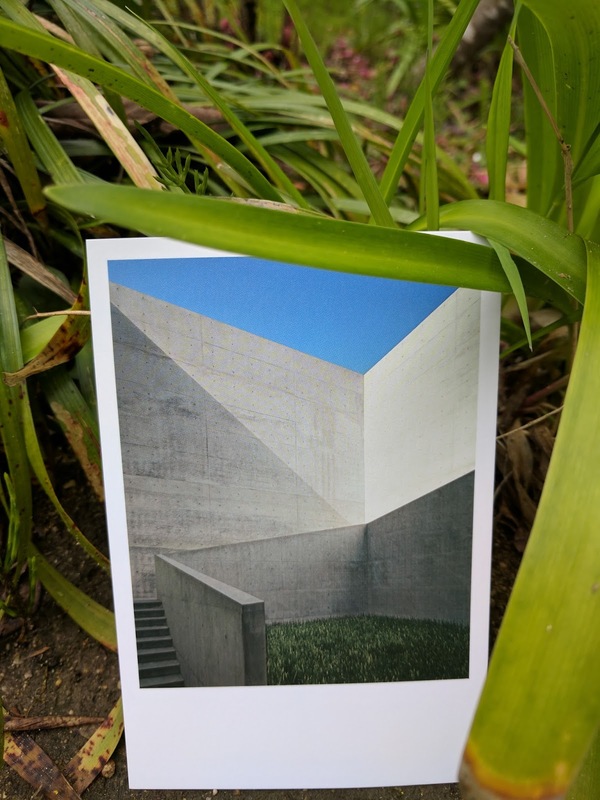 Buy postcards and take pictures of them instead! Whilst I visit the occasional gallery whilst travelling I would hardly put myself under the title ‘art appreciator’ so this was the first time I’d visited something like this really. I absolutely adored it. The building was soooo beautiful and I have to admit I was more taken in by the architecture than the art. I would totally recommend visiting the museum, even if like myself you have no clue about modern art. Afterwards we walked down to Benesse House, which was about 10 minutes downhill of the Chichu museum. The walk was nice, offering lovely views of the beach. 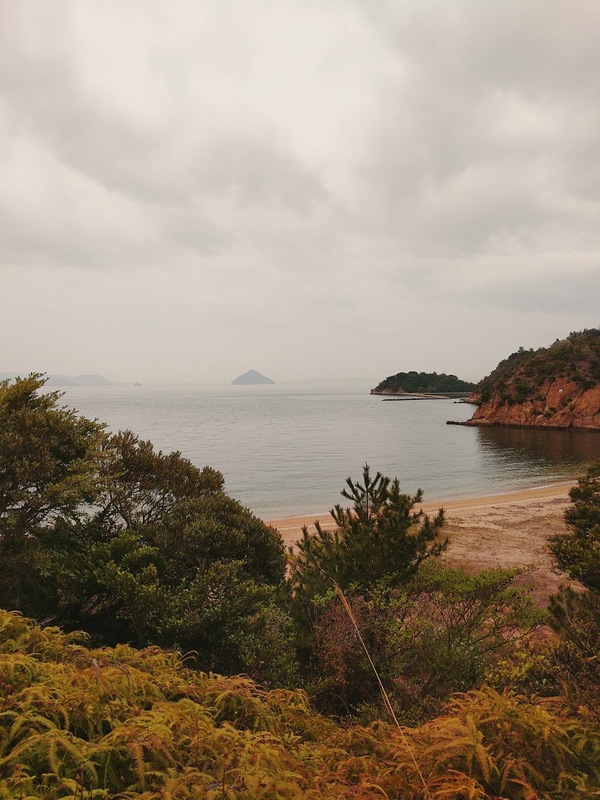 Although the day was slightly overcast it was warm and the views of the Seto sea were gorgeous. 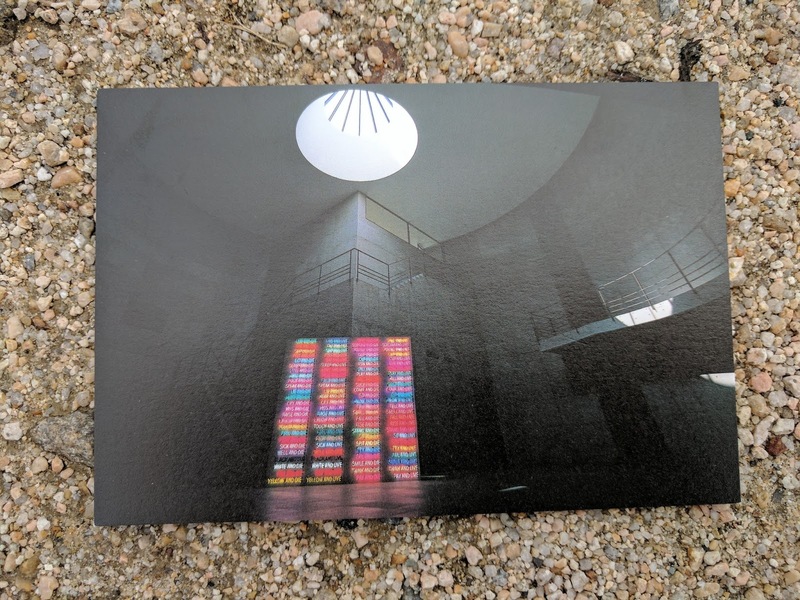 Benesse house is another modern art museum, with an entry fee of 1030 yen. It also doubles up as a hotel, where guests can enjoy 24 hour access to the museum. It was a more traditional gallery than Chichu and had works from many artists, both Japanese and international. 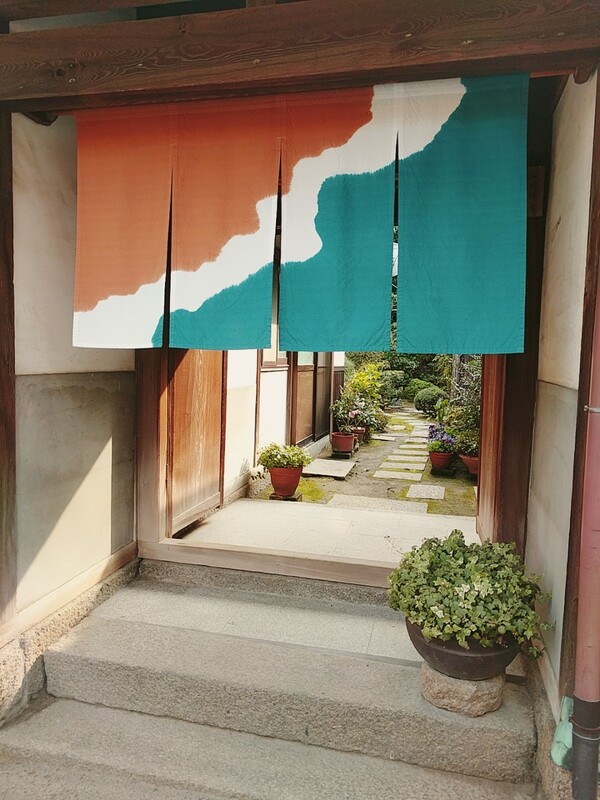 Benesse house also has a number of outside installations, in the gardens and beach outside. Just below the work was a jetty where you could walk right out into the sea and admire it’s speckling of sand coloured islands. 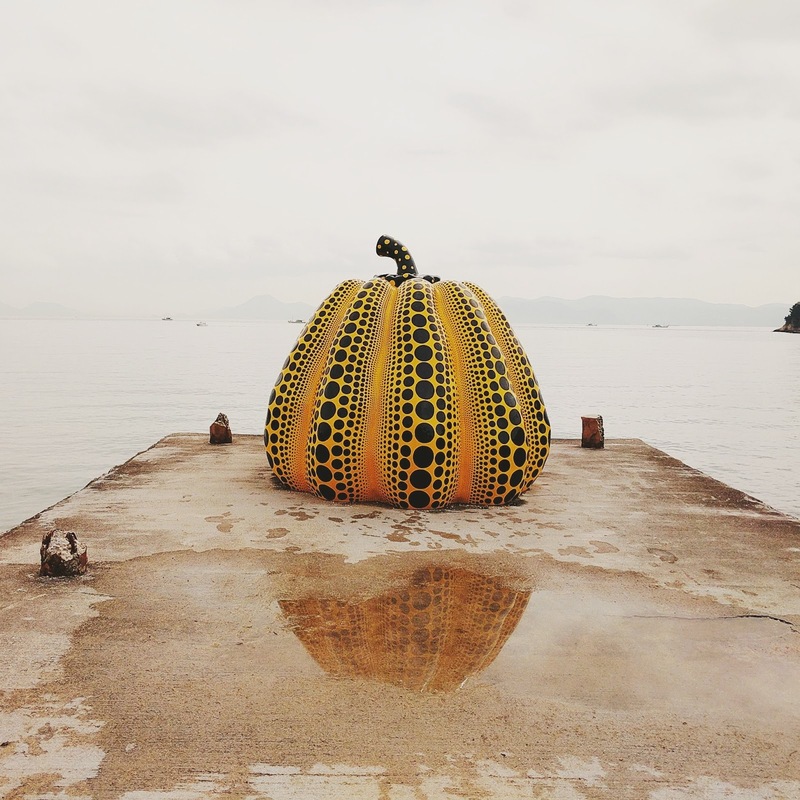 One of the famous works you can find on the beach is the yellow pumpkin, a striking piece of work, once again by Yayoi Kasuma. It was tough getting a picture of the pumpkin without people in it but I was pleased with my photo, the rain from the previous day having left a reflective puddle below it. I felt pretty instagramable and that’s all we want from life, right? There was another installation of some very brightly coloured pieces too, there was something about them that just screamed ‘climb me’. Unfortunately the reserved nature of the Japanese people around me screamed ‘We will ninja kick you off this island if you do such a thing’ so I kept off. 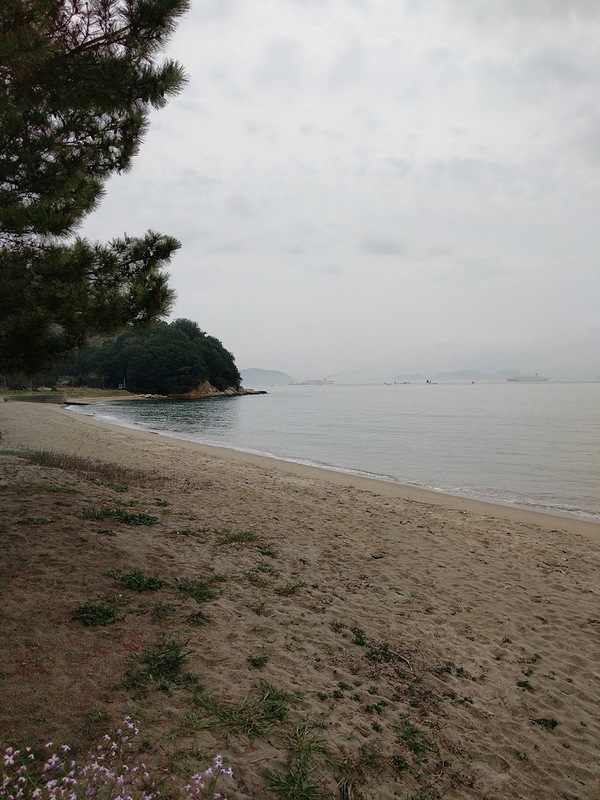 Walking along the beach took us back to the Tsutsujiso stop, where we caught a bus to the Honmura side of the island. Again for 100 yen we got taken to the Nokyo Mae bus stop. 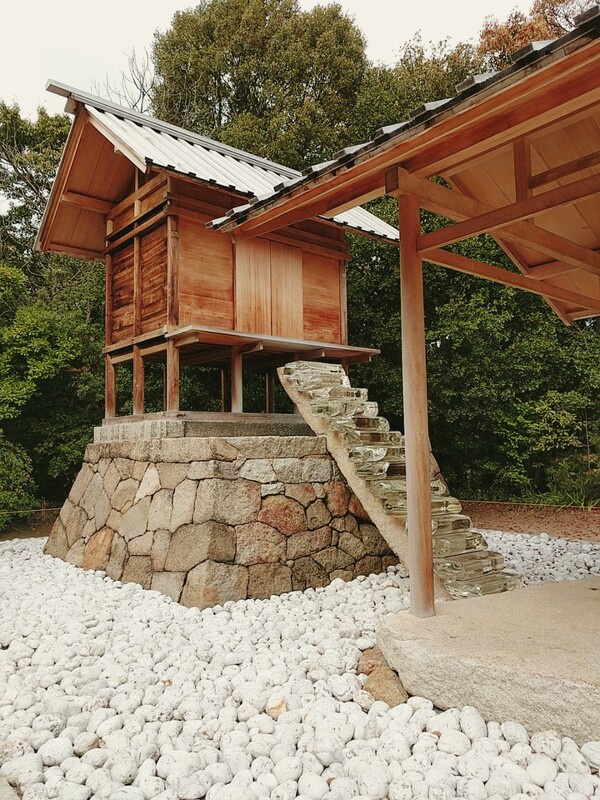 We wished to see the art house project, a project on the island which you can gain access to for 1000 yen. 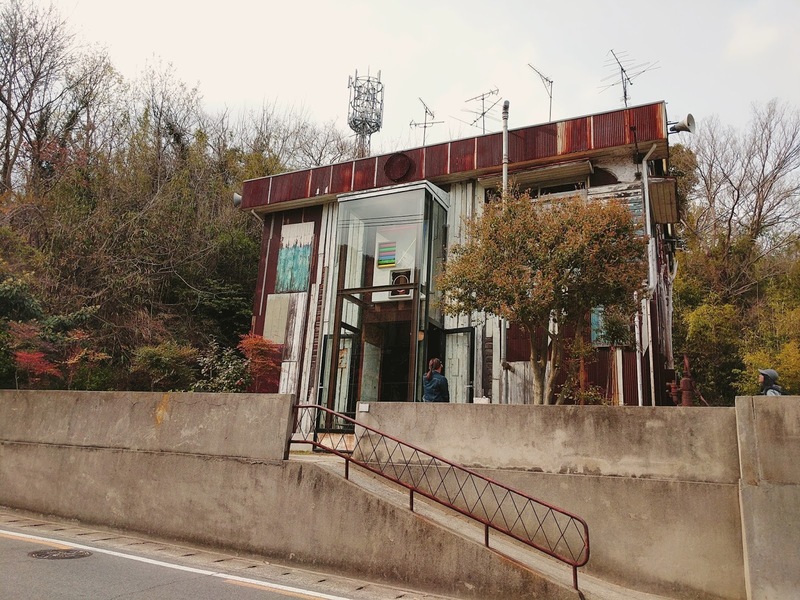 Beginning in 1998 the idea was that artists take empty residential houses and turn them into works of art. There are seven sites dotted around the village and they’re all interesting in their own way. 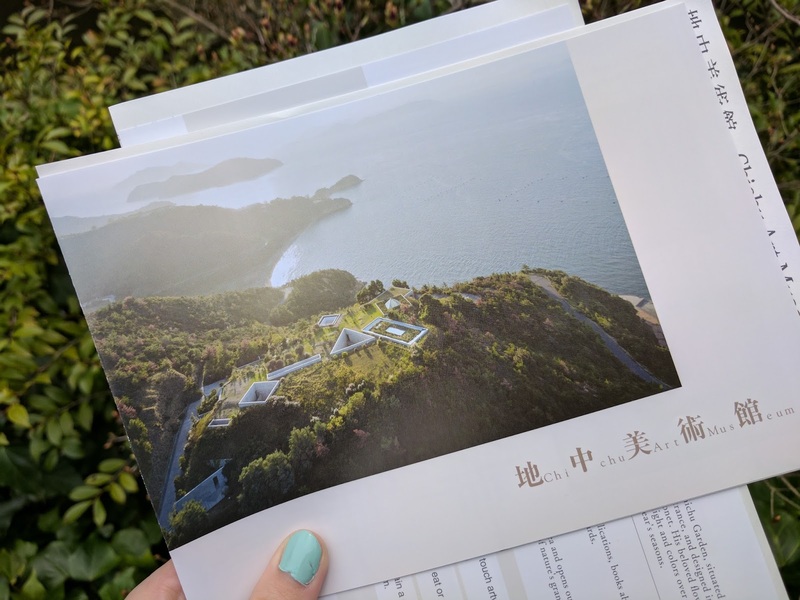 My favourite houses were Kadoya, a 200 year old residence that is filled with an LED lit pool and Minamidera, which starts with someone guiding you into a totally pitch black room. It was completely immersive. I have to admit at first I felt a bit panicky, complete darkness can be a bit claustophobic, but it soon became quite calming. What’s also nice about the art project is the village around the sites. This traditional little neighbourhood is very charming and helps you add some context to their history of the houses you are in. From certain points in the village you can find beautiful viewpoints over the sea. 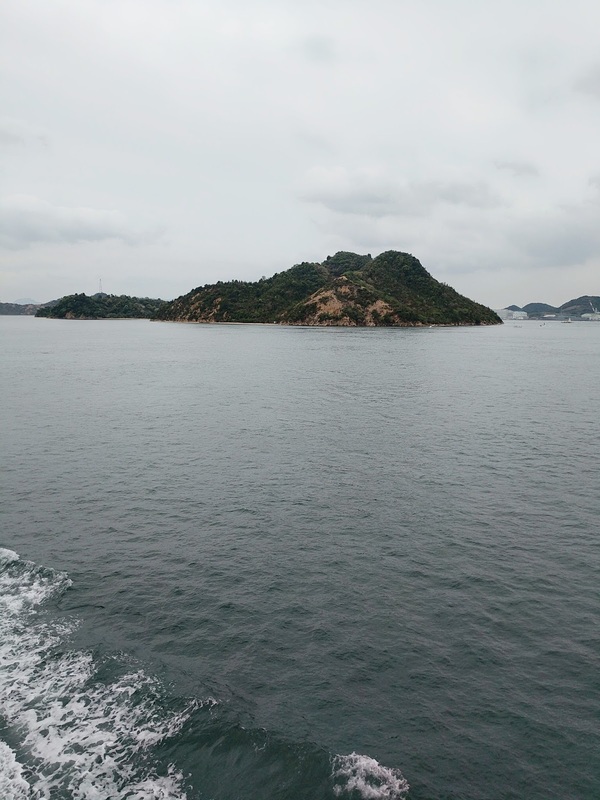 We got the ferry back to Uno from the Honmura port, located on side of the island that we were now on. It was a smaller ferry but still only took 20 minutes and once agan the journey was calm. From Uno we picked up our luggage and jumped on the train to Osaka, arriving at our hotel approximately 9pm. The hotel was located only a few minutes walking from the metro stop and as we walked to it we could see views of Osaka Castle, all uplit, standing so grand. Our hotel was called Hotel The Lutheran and was a nice modern hotel, for which we had paid £70 a night. We’d gone for twin rooms because in some hotels the double beds are ‘semi doubles’ which means a bed somewhere between a single and a double. Adam is 6 foot 3 so having a semi double is never really an option for us! 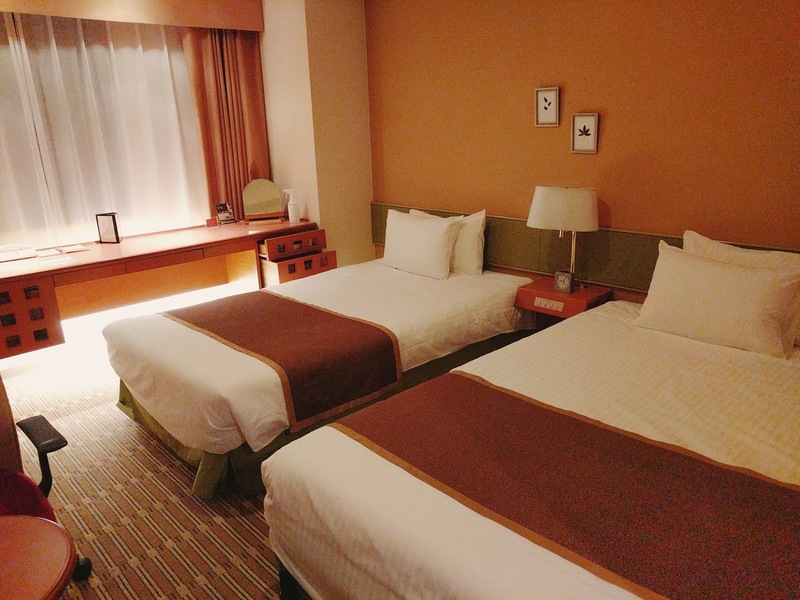 The room was lovely and clean and the staff were very friendly. 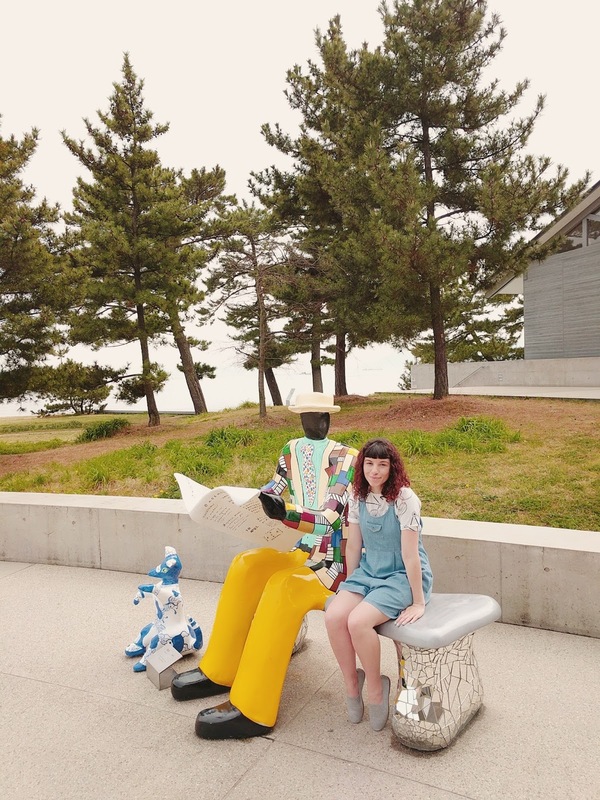 Visiting Naoshima was a total trip highlight, it was different to anything else I’d ever done and even though the day involved a lot of travel it was so chilled out once we got to the island. I’m so glad we made the effort to put it in the itinerary!